Its crazy how crazy everyone is for crackers. And it is crazy easy to make them, too! 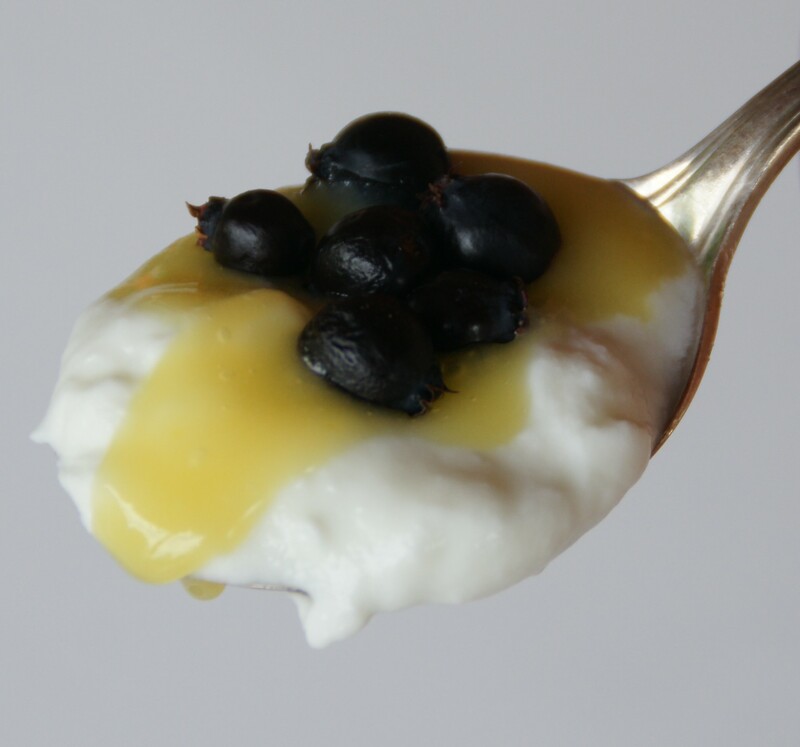 Here is a really cool recipe for making your own. They go together fast in the food processor and take just minutes to roll and cut. 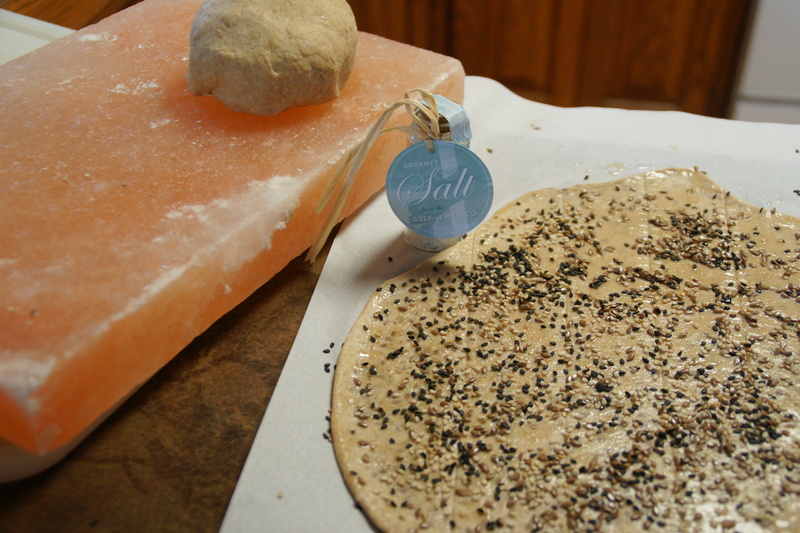 A pink salt slab is my weapon of choice for rolling out the cracker dough. The dough picks up a slight pink sea salt flavor. 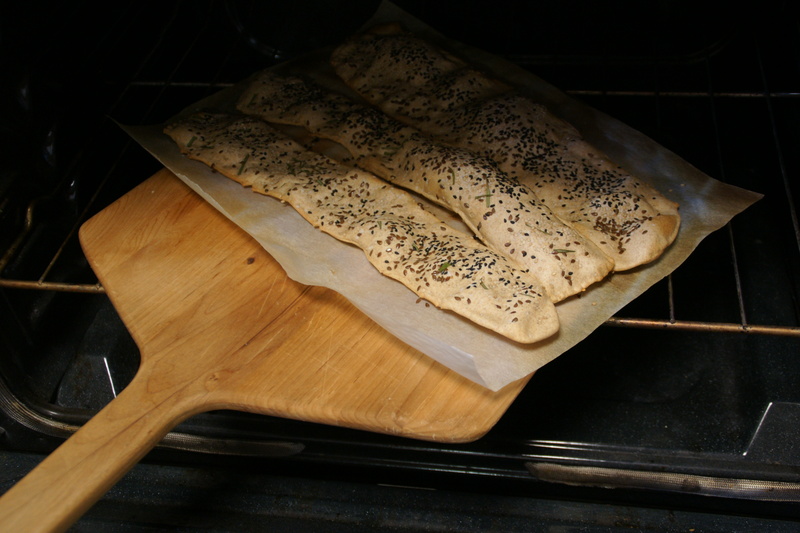 Flax seeds, poppy seeds, sesame seeds and just about any other seeds make a great topping. 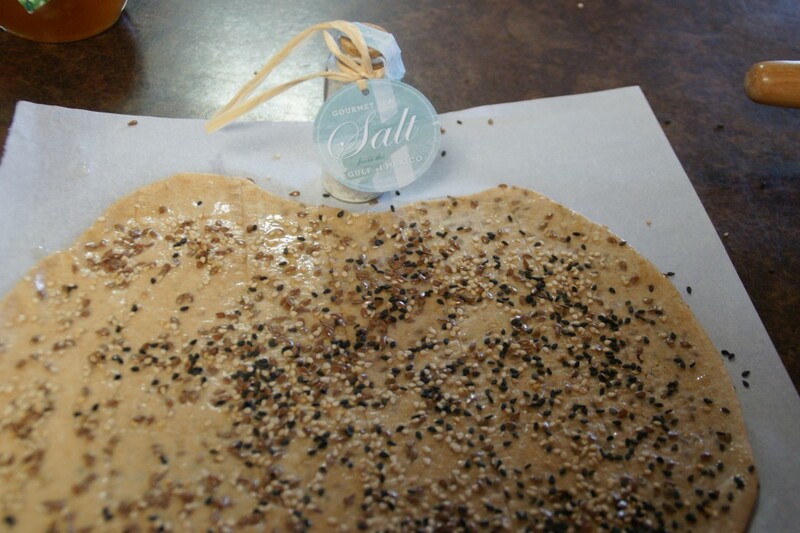 Parchment paper can be used in place of the pink salt slab. You can see the little specks of seeds I added to the dough before I rolled it out, but when I use the pasta maker I add the seeds after so the dough goes through the rollers easier. A pasta maker can be used instead of a rolling pin. 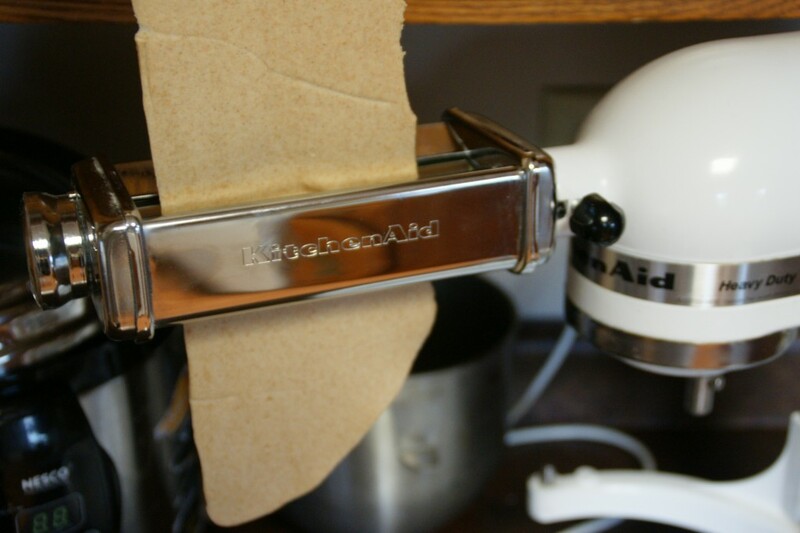 If the sheets tear, either add about 2 tablespoons of additional flour or open the rollers of the pasta maker to the widest setting and then progress down to the thinnest setting. 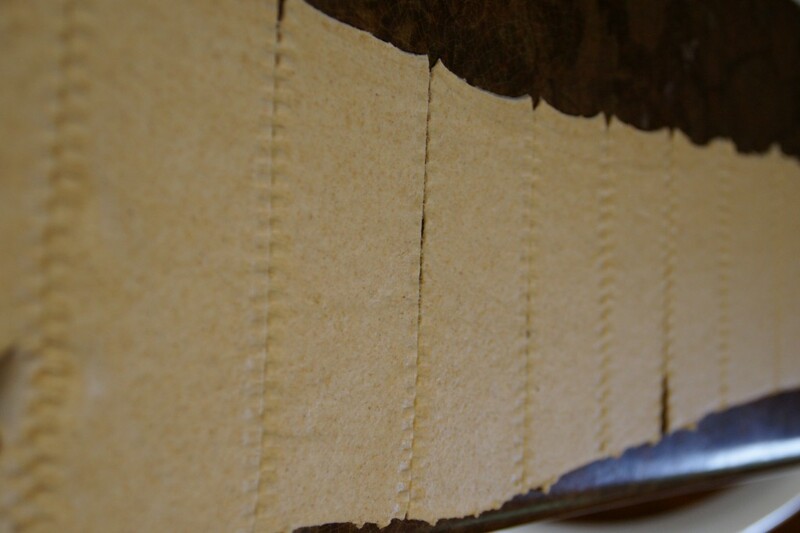 The sheets of crackers are ultra thin which helps make the finished product crispier. The long sheets of dough are a sight to behold. I used a tiny hand roller with a crimped edge to score the sheets of dough. A pizza cutter works just as well because after baking the crimped edges pretty much disappear. 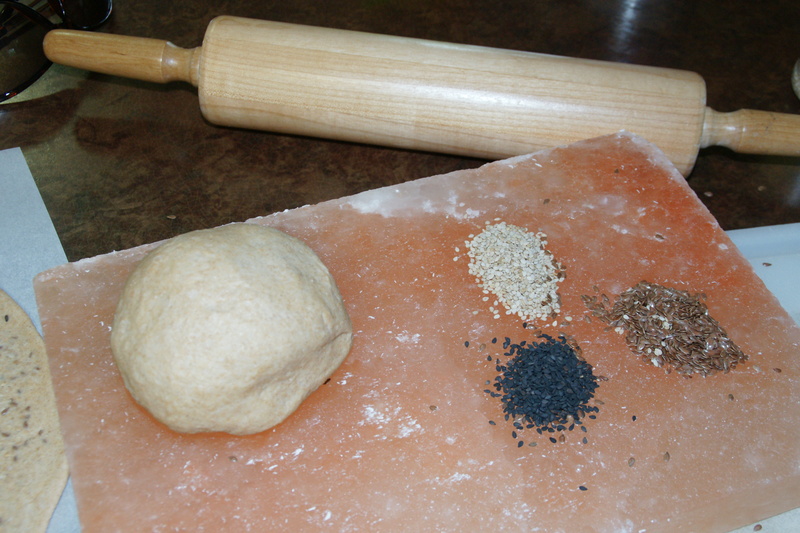 This shows the dough I rolled by hand and spread with seeds. 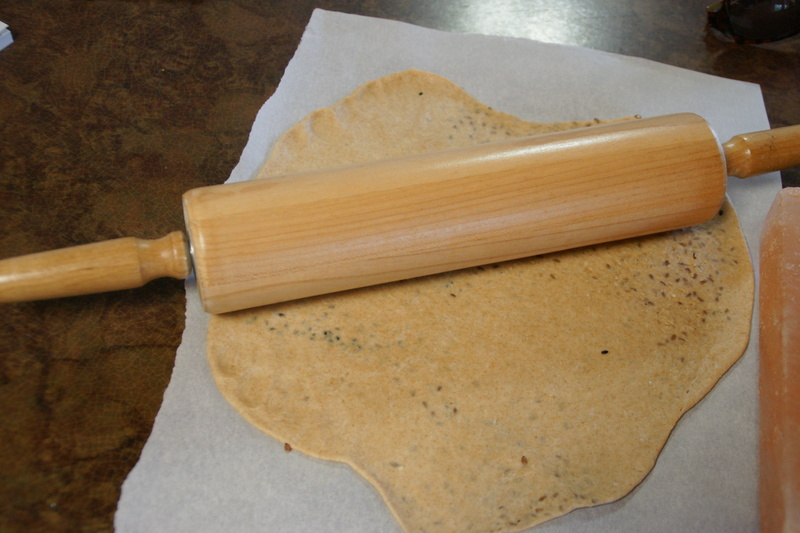 Then I ran the rolling pin over the seeds and dough so the seeds are pressed into the dough. The seeds did not fall off of my dough when I transported them into the oven and also stay on the top of my baked crackers better. I love a wooden pizza paddle for so many things, including pulling the crackers from the oven. There they are. 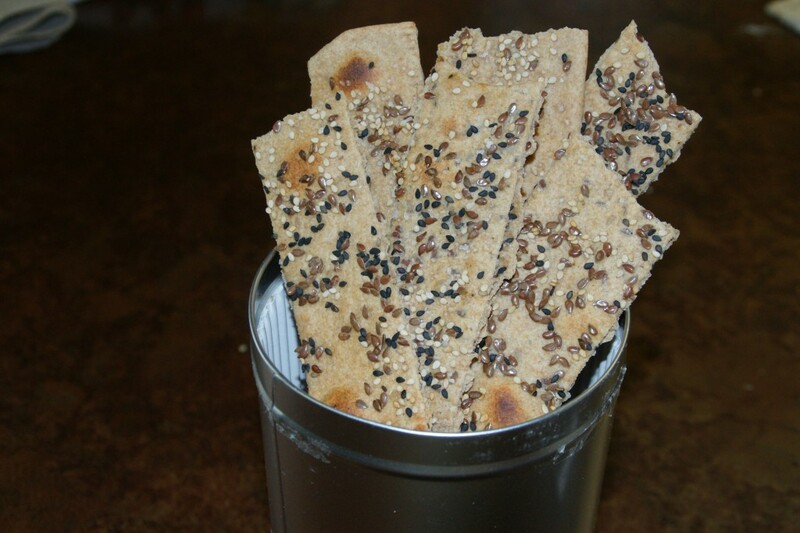 Crackers with all kinds of crazy good (and good-for-you) seeds. A tin with a tight fitting lid is the perfect storage container for homemade crackers. They stay fresher and I like that they can be left in big strips and still fit in the tin. 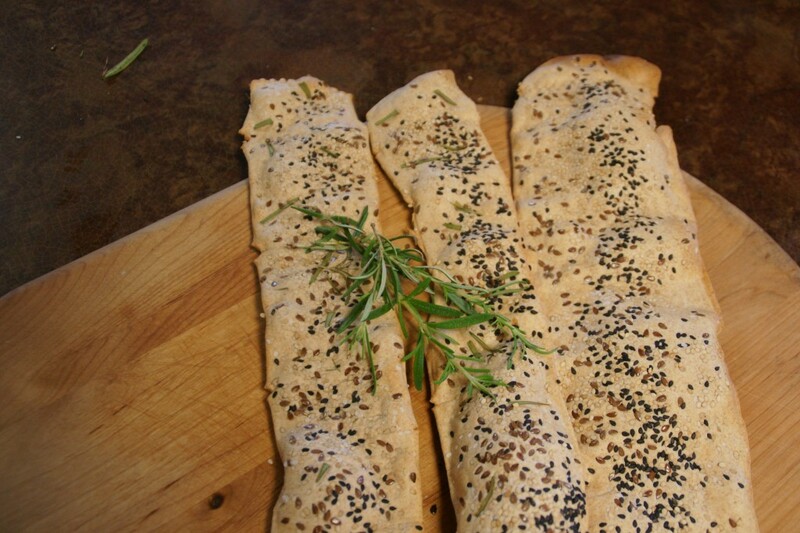 2 teaspoons each of flax, sesame, poppy seeds, fresh rosemary and coarse sea salt. Those crackers look amazing! I never knew something like that could be so easy to make. 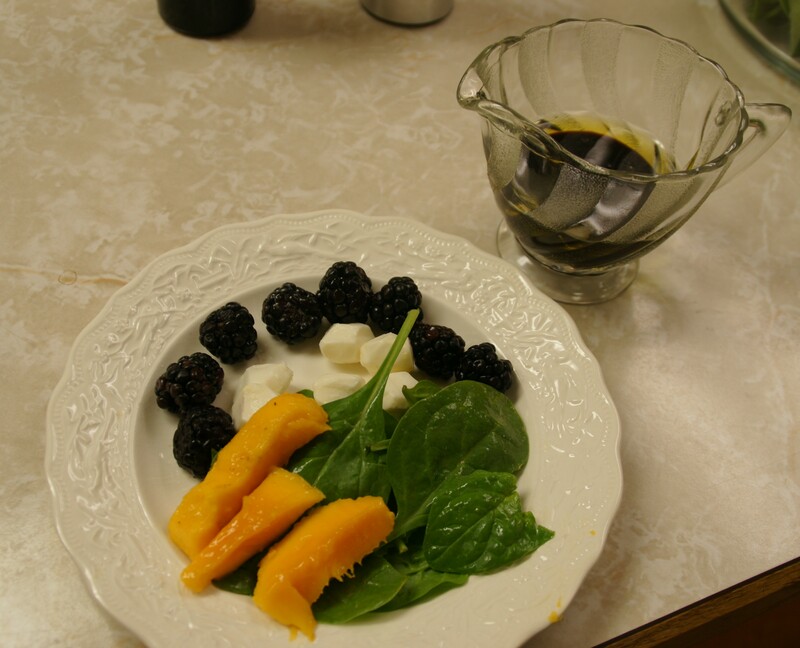 I’m going to keep this recipe in mind when I am wanting to experiment with something new. Thanks for posting.